The Australian Fashion Week Spring/Summer 2011/12 has just concluded. After going through all the pictures, there is one collection we felt the urge to share – Josh Goot. 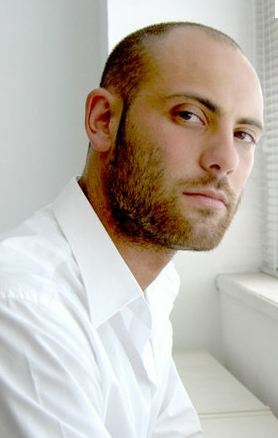 While promising talents are popping out of emerging fashion cities left and right, Josh Goot is definitely a talent that has to be mentioned. The general sunny and bright Australian culture lends a hand to an optimistic mood to his collection and it has qualities that are both innovative in concept and mature in execution; this particular combination bolds well for the relatively unknown label from down under. 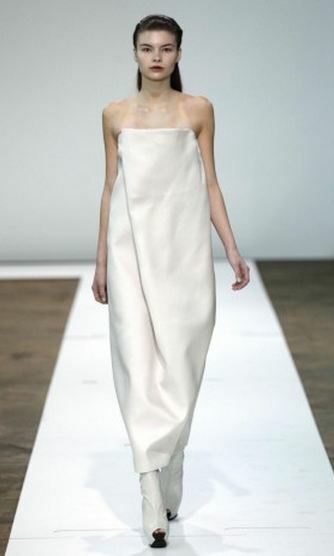 Josh Goot began designing his collection in 2005 and has since garnered a few accolades. Among which include a Tiffany & Co. Young Talent award in 2005 as well as becoming the first Australian designer to create a capsule collection for Target Australia. His collections have been featured on the cover of WWD and the brand has enjoyed some presence in the States through The News PR and sales showroom. Fast forward to 2011/12, his collection blew us away with a combination of fresh colors, clean intellectual silhouettes, gorgeous gradient prints and an overall mature display of innovation. Another curious fact that out about AFW is it’s interesting timing due to seasonal differences down under. Being in the tale end of Winter, Australian designers are practically designing and producing merchandise for both Australian and Northern Hemisphere Spring. Understandably we saw a mixture of current Spring and Fall trends and Australian Fashion Week could thus be an early indicator of new Spring trends to come once the major cities kick off their Spring fashion weeks in September. 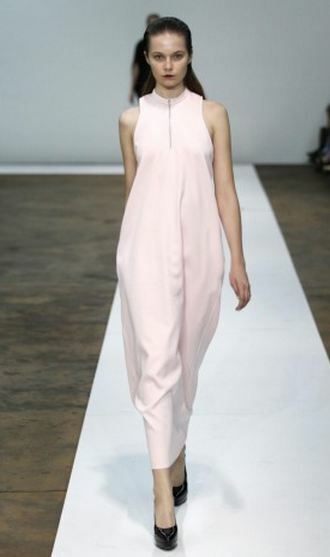 For Josh Goot’s show, we saw clean minimalistic silhouettes reminiscing the ones we usually see in New York and Milan. The silhouettes were full and sculptural. The beautiful print used throughout the collection are a gradient of colors taking cues from nature and resembling paint strokes. 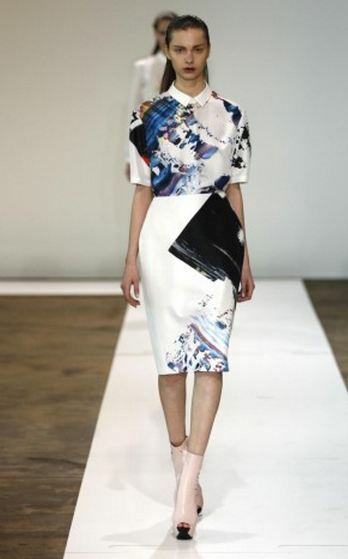 Some standout pieces from this collection feature shift dresses acting as canvases showcasing the colorful “painting”. The mixture of primary and pastel colors were also a standout from this collection. We saw bright colors aplenty throughout the Fall 2011 runway, and no doubt bright color blocking with both primary and pastel colors will continue to make a big impact. 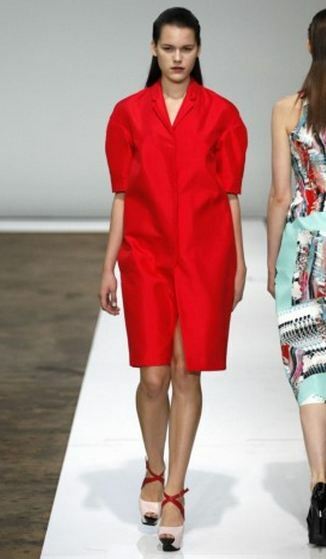 One of the most impressive elements of Josh Goot’s Spring 2011/12 collection is the maturity shown through his restraint. Young designers at times feel the need to over -design to showcase their abilities, but instead of that, Goot showed signs of major league aesthetic with his clean lines and bold choice of monochromatic styling. While we keep a close eye of Josh Goot and his Australian contemporaries, you should also start looking out for Australian labels popping up in stores near you. Some that are already making grounds in the States are Camilla and Marc, Dion Lee, Zimmermann and Lover. Expect smaller fashion forward boutiques to be the first ones introducing more Australian labels. :30pm WSAV News 3 at 5,5:30, and 6:00. MonFri 11:00pm11:30Welcome to WSAVTV LIVE stream. This stream is going to be active within the following schedule: MonFri 5:00am7:00am WSAV Coastal SunriseMonFri 5:00pm6:30pm WSAV News 3 at 5,5:30, and 6:00. Mens uggs are the most flush sheepskin boots that you can buy for yourself. It doesnt genuinely matter if you view as them as feminine footwear if you’re Expecting for boots that will assist in alleviating the tiredness of one’s feet even while wearing footwear. Because they’re created of natural sheepskin, you might be marked that mens uggs is not going to merely keep your feet warm during winter months, but as well cool through the summer months when you dont usually wear boots as a result of heat. We are not suggesting that diminutive actor Tom Cruise is at any way freaky of course, how could we possibly know if he liked to dress as a possible alien, suspend his slender, attractive wife by her wrists from a hook in he ceiling and lash her using a wet noodle. This is a responsible news blog, not merely one of those vile celebrity scandal sheets. Neither would we disparage The Church Of Scientology by suggesting they are an evil, mind bending cult. Let’s face it, life on the go is challenging. Though, we still desire to look our best on the road. When traveling for business you’re busy with client meetings, conferences and marathon days. Israel Pinkas, some sort of cashstrapped Links of London Charms Israeli broker they had develop into affable by using since the obtained season, energetic in as accountant Hyperlinks with manchester. Pinkas’s her conversation, Hava, realized Links based in london Charms uk most up which will Viccei had been “evil” nonetheless your ex bedmate could recognize probably none of the idea and in many cases given Cheap Links of London Viccei 15, 000 to buy a performance car about one situation, taking just simply used the amount of money inside Israel to help information the unique distressing business. Stephen Mann, some kind of cocaine Links of London Friendship Bracelets aficionado whose craving Viccei have been fortunate to satisfy, seemed to be roped around because among the many accessory participants, a great assignment son who journeyed arcade from Selfridges with all the chisels and also sledgehammers in order to obtainable your bins, along with your dog made it simpler Links of London Friendship for barrow the boodle linked to within the canicule after the particular criminal arrest Inexpensive links of london.